Some sounds are missing on Windows Vista and later See Missing audio. Unofficial startup hang patch should be applied to prevent the game from locking up during startup. 8.6 Exception in engineInit: Unable to load save game "Files"
Patch 1.05 is the latest official patch for the game. The Steam version is already patched. HD texture pack using ESRGAN, an upscaling method that takes a low-res image and adds realistic details to it. Can only be changed in the launcher. Always enabled. Can be forced off through video driver control panel. FOVFactor value is capped at around 1.43. Set the Path to <path-to-game>\maxpayne.exe. Click on DirectX tab, set DirectX 8. Cutscenes only, not ingame voices and intro. Some regions only have certain languages available. All audio languages can be downloaded from here. The French Steam version of Max Payne has corrupted files, with the error message Invalid Data Read from R_memory File("part1_level1b"). Reports indicate issues with the files x_level1.ras, x_level2.ras, and x_level3.ras. Relies on automated lossy sound files recompression into other format. Add a new Profile (Skip to Step 11 if using retail version of the game). Click The newly created profile and then click ">>" to enable it. Even better quality DirectSound wrapper for Creative card owners and not only. 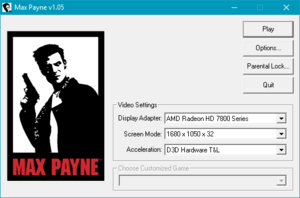 The Max Payne profile will automatically show up in ALchemy when using retail version of the game. Reinstall the game to a folder without spaces in the folder path (e.g. 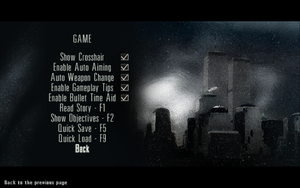 C:\Games\MaxPayne). 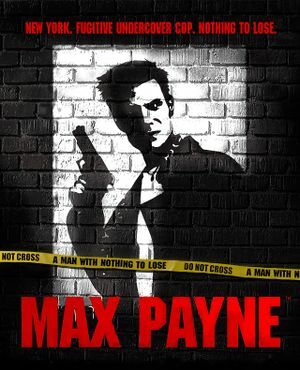 Rename the Max Payne folder to MaxPayne. Go back to the SteamApps folder and open appmanifest_12140.acf with a text editor. Change the line "installdir" "Max Payne" to "installdir" "MaxPayne"
Save this as "Max Payne 1.bat" inside the Max Payne 1 folder. 7, 8 Direct3D 7 in cutscenes only. Everything else is in Direct3D 8. -screenshot Enables F10 for taking screen shots. 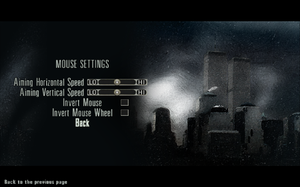 Screen shots are saved to the "screenshots" folder in the Max Payne installation folder. -nodialog Skips the Max Payne startup dialog when loading the game (uses options previously set). -skipstartup Skips the startup video. -disable3dpreloads If the system runs out of texture memory while loading a level, this option may prevent the game from crashing due to a driver error. 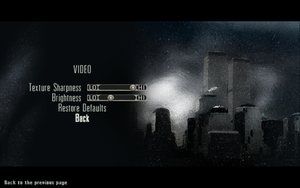 -window Runs the game in a windowed mode, in the resolution selected from the Max Payne launch dialog. Not all 3d accelerators support running in a windowed mode. -novidmemcheck Disables the video memory check at the start of the game. -developer Enables "developer mode", including console (toggled with F12). 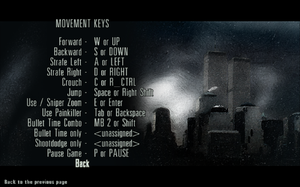 -developerkeys Enables special developer keys. Requires developer mode. Using developer keys can break the game flow. -showprogress Shows extended loading information. Requires developer mode. 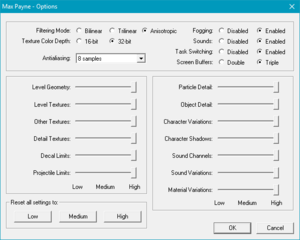 -profile Enables in-game profiler. Toggle profile with F11, and see console aliases for profiling options. ↑ 2.0 2.1 File/folder structure within this directory reflects the path(s) listed for Windows and/or Steam game data (use Wine regedit to access Windows registry paths). Games with Steam Cloud support may store data in ~/.steam/steam/userdata/<user-id>/12140/ in addition to or instead of this directory. The app ID (12140) may differ in some cases. Treat backslashes as forward slashes. See the glossary page for details. This page was last edited on 15 April 2019, at 03:08.